There is a lot of planning that goes into trade shows and creating a captivating booth. 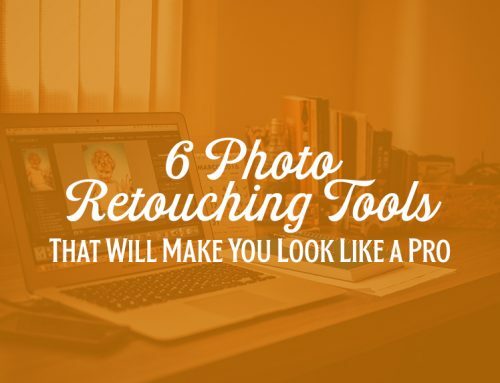 What will make potential customers flock to your booth? 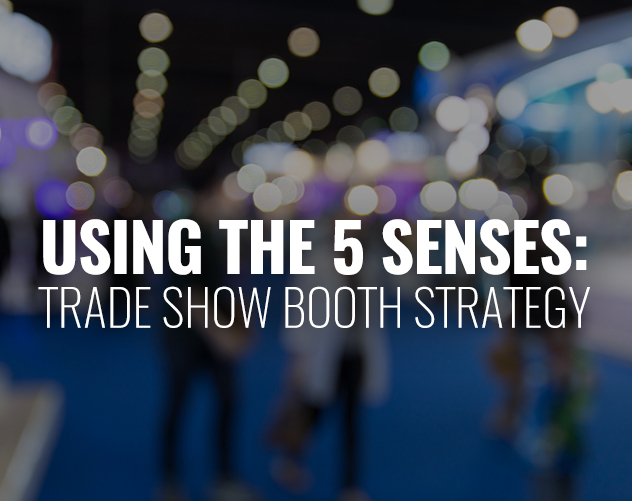 Of course, there are numerous visual elements to take into consideration, but there is also a lot more than meets the eye when it comes to trade show strategy. Need some creative ideas to make your booth the most popular at your company’s next trade show event? 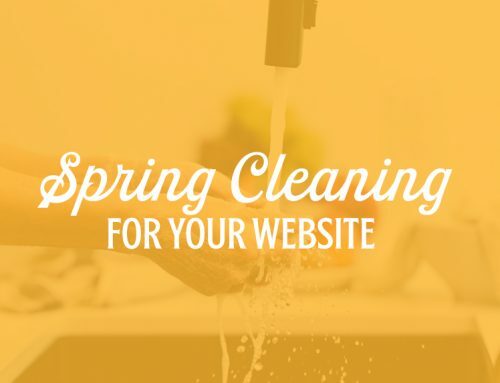 We recommend going back to basics and using your five senses to generate some inspiration. Make sure to work with designers and printers who have extensive experience working with trade show materials. If your project gets put in the wrong hands, your trade show booth could end up being an expensive mistake. Trade show print pieces are typically more complex print projects, since they are very large in size, and require extra attention to detail. Keep in mind that printers will need a few weeks to print your pieces, depending on how busy their shop is or how complex your piece is, so make sure your project goes into the right hands well in advance of your trade show date. Additionally, bring brochures, pamphlets, and any other relevant promotional materials you’d like to hand out (i.e. t-shirts, pens, folders, magnets, etc.). These items will draw attention to your booth – let’s be honest – who doesn’t like free things? Promotional materials and informational pieces are great conversation starters for your representatives working the booth. 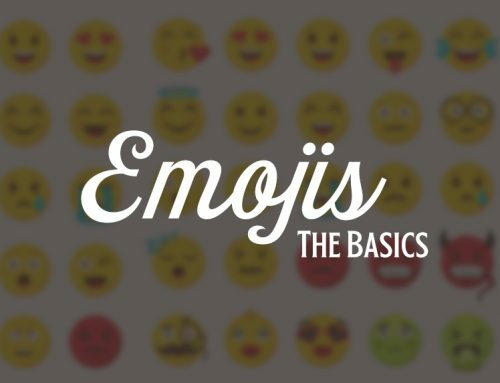 TIP: Take as many photos and videos as you can so you can post on social media. Also, look into running digital retargeting web ads before the show, as well as geo fencing during the show to target potential customers. ocreations has experience with all of those items for clients who have gone to trade shows. ocreations can also design marketing and promotional items items before your next trade show. 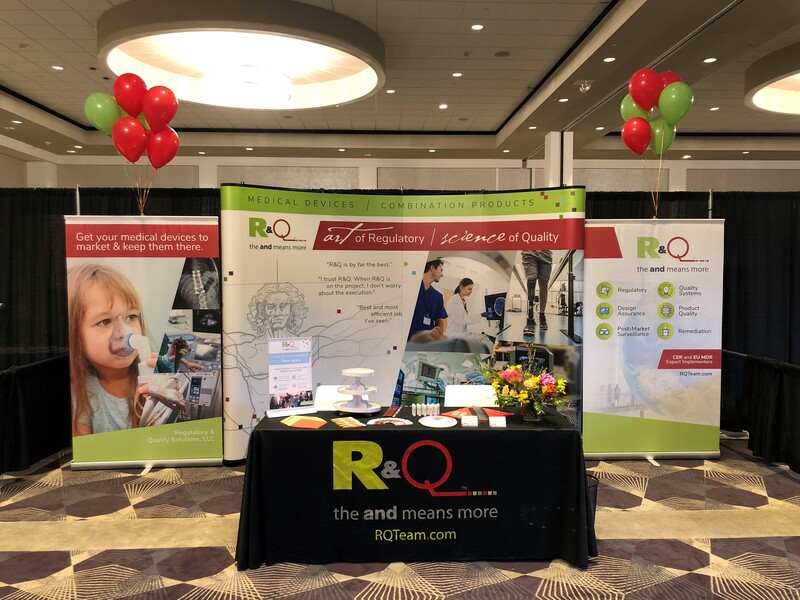 Trade shows can get noisy – think about investing in a retractable sign, backdrop, or other large pieces to break up the noise around you so your company can make sales without awkward interruptions. Would your company or brand benefit from subtle background noises to add ambience to your booth? For example, if your company builds saunas, you may want to think about having spa music playing at your booth. Depending on the trade show your company is attending, there could be a lot of visitors walking around a huge venue space. Much like the classic “if you give a mouse a cookie” line, if you give visitors a lot of booths to visit, they’ll need sustenance. 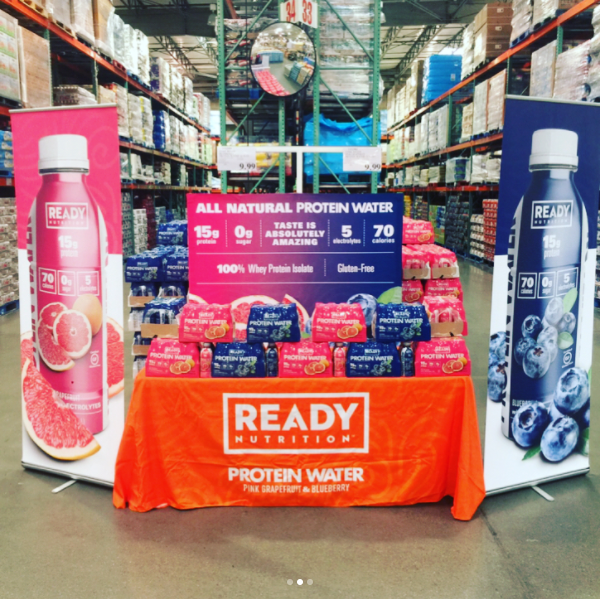 If your booth gives visitors water, snacks, or even a sample of your product, your visitors may be more inclined to stay longer at your booth, and ideally, become a new customer. Not to say that all companies should use the snacks they provide as a sales tool, but it doesn’t hurt to show potential customers that you’re generous and welcoming! There are even ways to add a “touch” element to your booth even if your company does not sell a tangible product. For instance, if you are part of a hotel group that sells timeshares, you could set up your booth to be a replica of the hotel rooms potential customers would be buying into. They’d be able to see how fluffy the pillows are, test out the firmness of the beds, and look out a “window” to see what their view could be. Adding a tangible interactive element to your booth, especially a sample of your product, shows your company’s transparency and willingness to allow customers to experience your product before purchasing. TIP: Check with the venue before investing time and money into any part of your booth! To save you and your company a headache or an empty wallet, make sure what you plan on displaying at the tradeshow is designed to the rules and regulations of the venue. For instance, some venues do not allow pieces to hang from the ceiling, or they may ask that your music has a specific maximum volume. 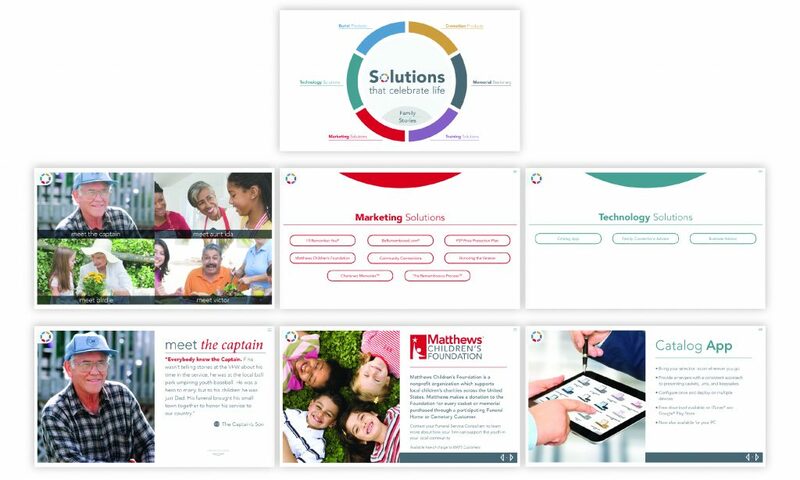 The creative team at ocreations has experience working with a large variety of clients who have requested trade show graphics (print & digital). 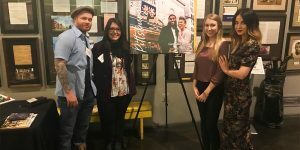 Check out the photos below for some more inspiration for your next trade show! 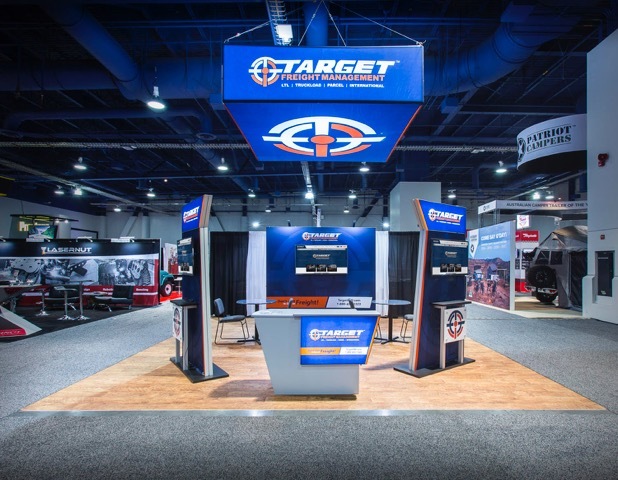 ocreations designed pieces for a trade show for Target Freight Management. 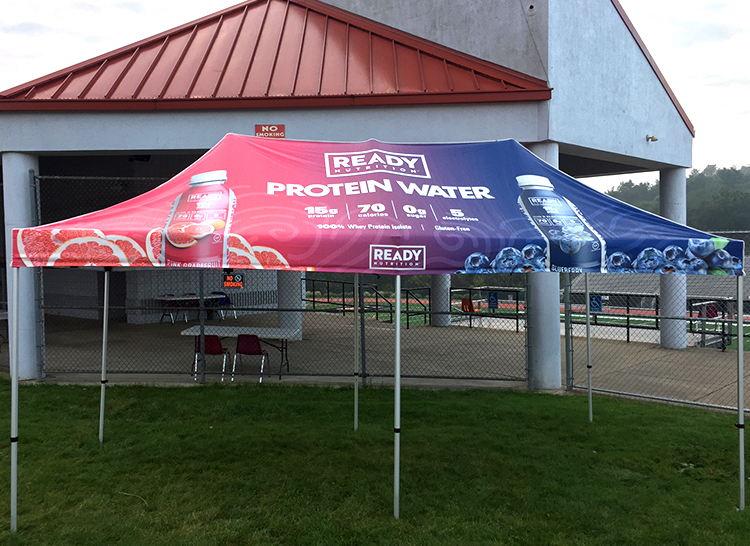 ocreations designed a tent for Ready Nutrition for an outdoor event. 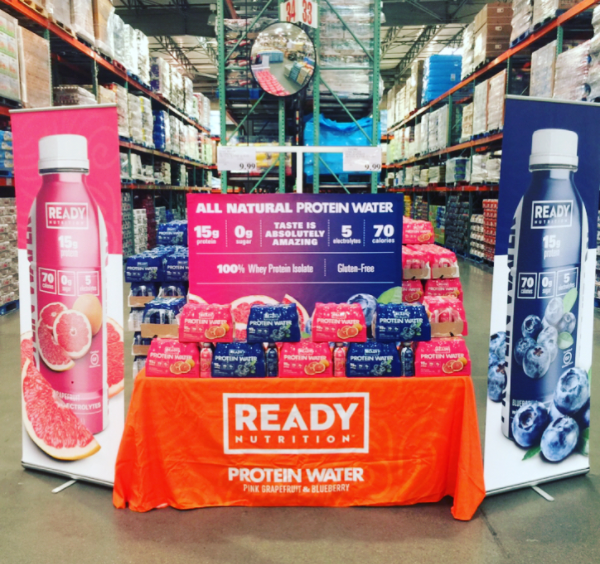 ocreations designed trade show pieces for Ready Nutrition for an event at Costco. 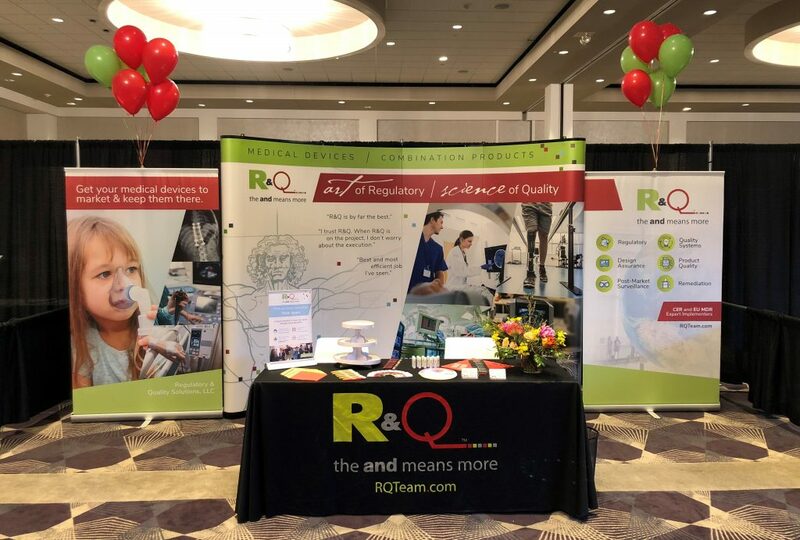 ocreations designed trade show pieces and marketing pieces for R and Q for a recent trade show.